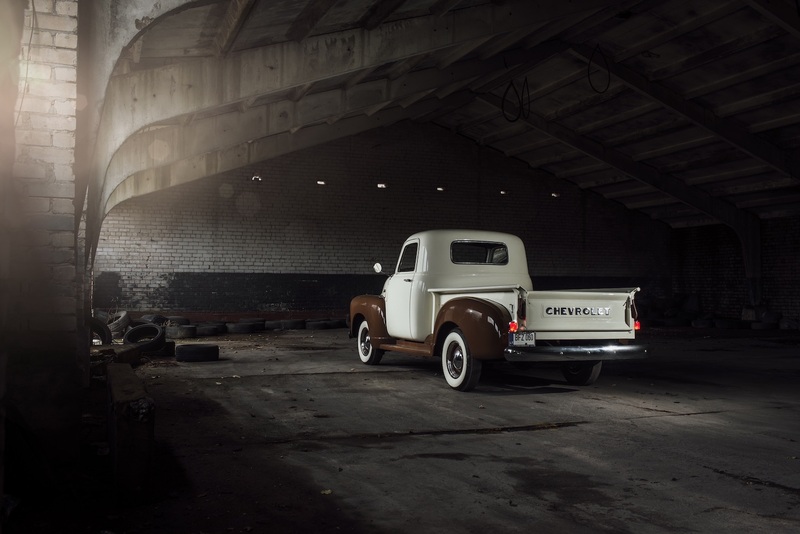 Before your eyes is a Chevrolet Thriftmaster pickup. 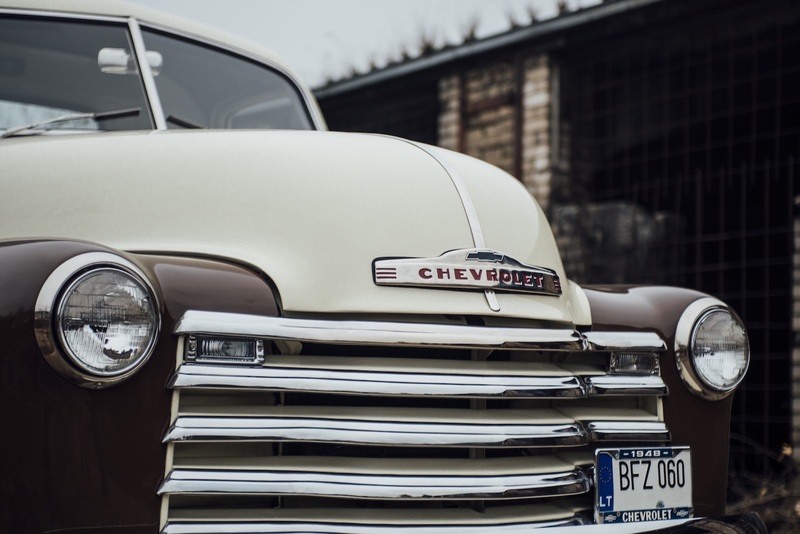 The car left the General Motors factory in 1948 and just recently, it had a moment of resurrection. This happened in Lithuania, at a workshop specializing in vehicle restoration. 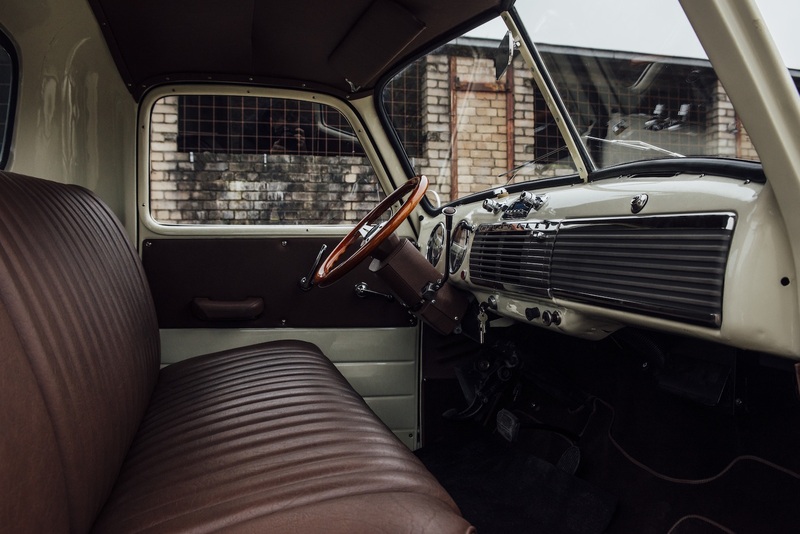 Automotive restoration is one of the most complicated processes you can imagine. 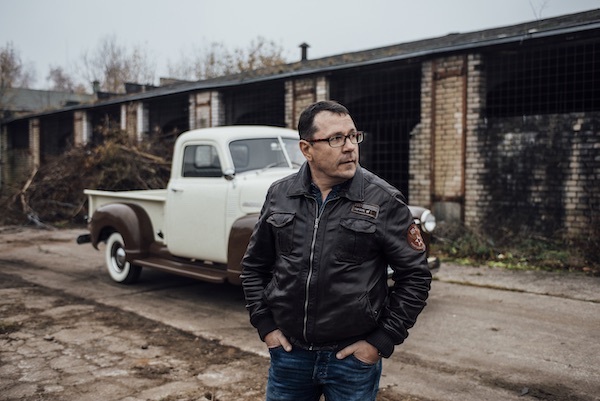 However, the restoration of certain vehicles can be made easier using certain methods., Šarūnas Žitkevičius has brought numerous impressive cars back in a day, but looking at one of his latest projects, he admits that this was one of his easiest. Šarūnas names General Motors as the main advantage in this project. One of the biggest car manufacturers around still has new parts on sale! With that kind of support, it’s possible to save valuable time and ensure the highest quality in the final result. 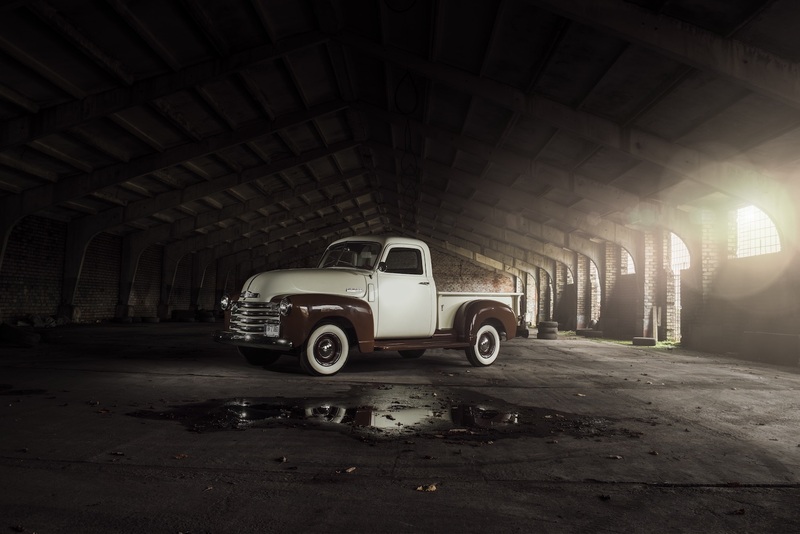 “If it wasn’t for the large selection of original parts, I would still be scouring used car websites right now. 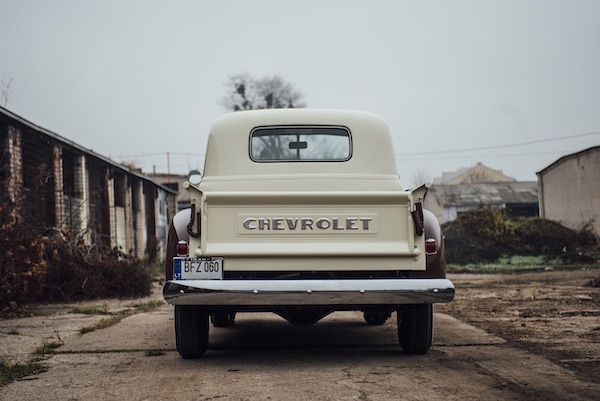 Basically, I’d have to go out on a hunt for door handles or tail lights,” says Šarūnas of the specifics or restoring older cars. 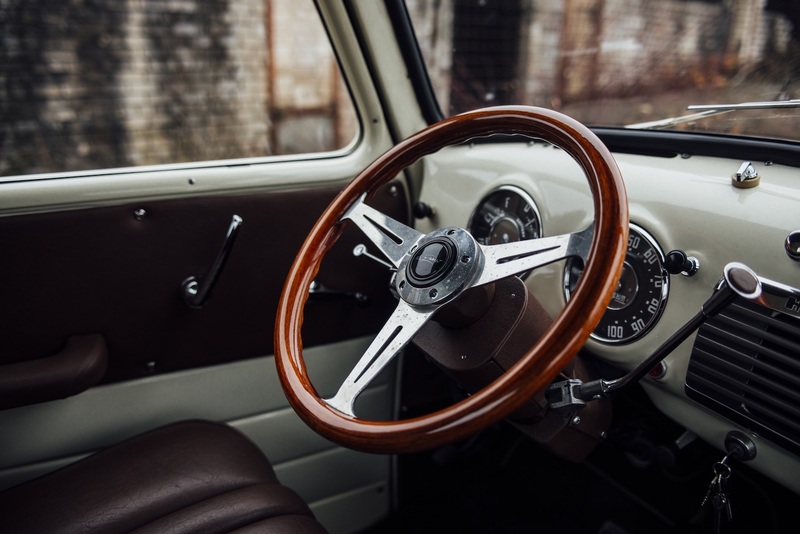 Classic car design always gets a lot more praise. Some people like cars that are a few decades old because the way they look make them feel sentimental. On the other hand, others are more enthralled with unusual body shapes, but should that surprise us? After all, 30 or 40 years ago, cars were built based on the imagination of the engineers and designers rather than strict regulations. 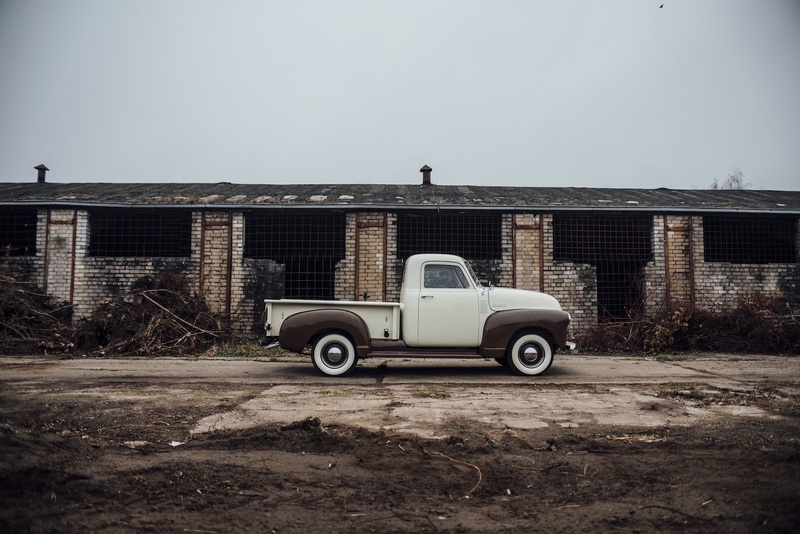 Try to imagine that you’re in 1948, and this Chevrolet pickup drives past your house. 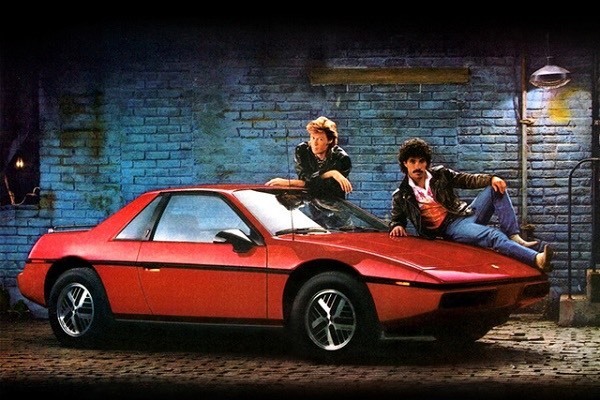 Obviously, this workhorse would have caught the eye of every passer-by, both then and now. However, at first, many would be spellbound by the sound of the engine. 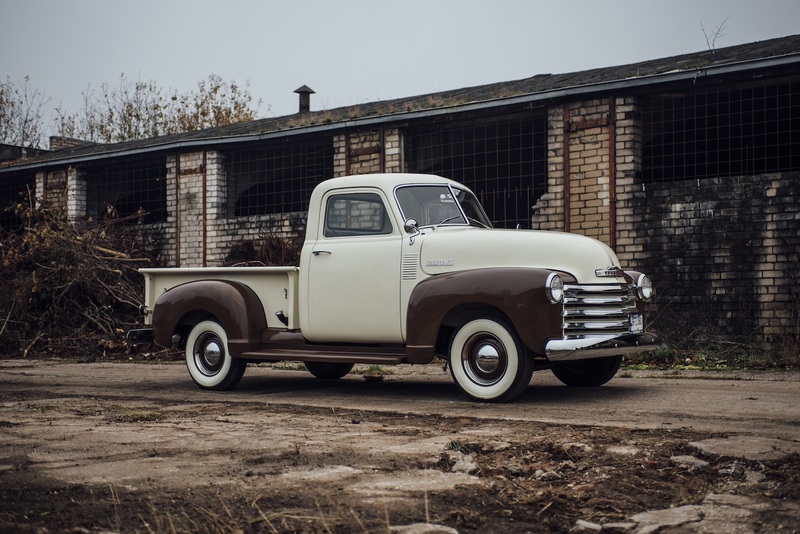 While discussing the final vision for the Chevrolet Thriftmaster pickup, the client and the project team headed by Mr. Žitkevičius immediately agreed that the handsome car had to have two modern features: a braking system and an engine. After turning the ignition key, you hear the hollow sound of an engine never squeezed by the hands of environmentalists. 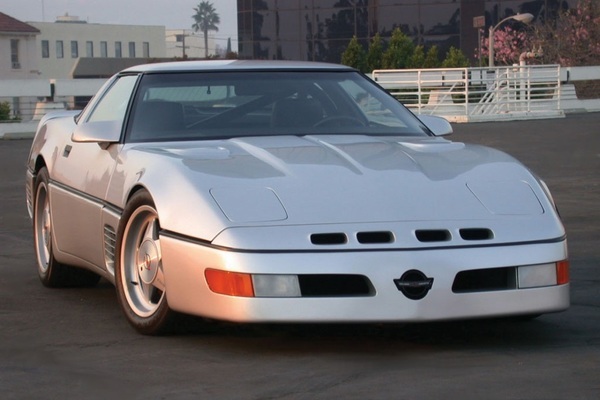 Up front, there’s an eight-cylinder petrol engine that once spun the rear wheels of the Chevrolet Corvette. 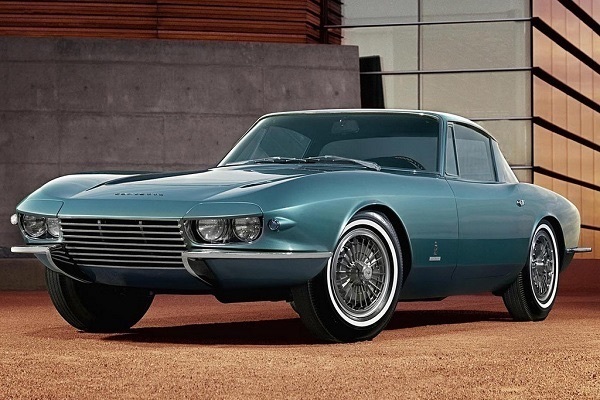 This is not the most modern version of the American V8, as given away by the four-barrel perched over the engine. However, this charming detail still induces headaches for the project team to this day. 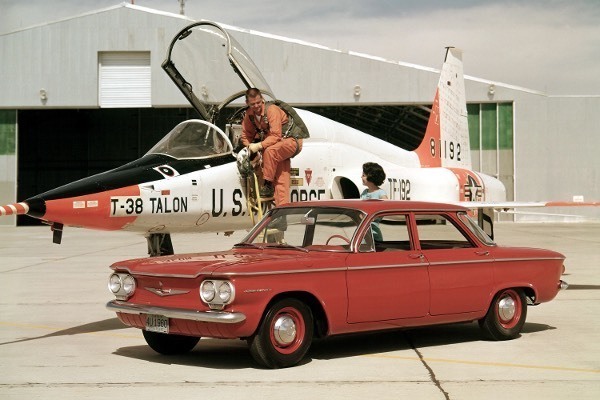 “We’ve invested a lot of time in adjusting the carburettor and combustion system, but it still doesn’t make the majestic V8 motor work as it should. At first glance, everything seems simple – you replace the original single-barrel carburettor with a modern new carburettor – but it’s actually not; harmonizing all of the components is like a symphony orchestra rehearsal, a pretty complicated process”, adds Šarūnas. When we come to see cars that were given a second chance to return to public roads, we often come to realize it's not staying in one place for long. Most likely, a project that is fresh out of the paint booth will be off to Germany, France, Holland or one of the Scandinavian countries, where vehicles like this are crazy popular. But, to our surprise, this delight to the eyes and ears will be continuing its life in Lithuania. “When you see a farmer’s pickup roll by, you couldn’t even imagine that it has a 370-horsepower engine hidden inside. 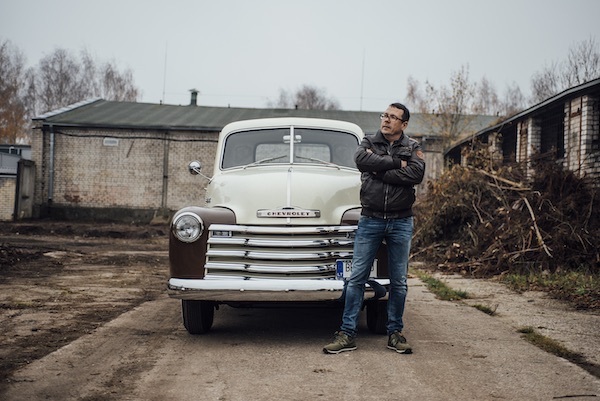 It’s enough to give it a bit more throttle – then you hear this incredibly beautiful sound that the eight-cylinder engine emits,” claims Šarūnas as he glances at his latest project.